September 2013, and Stevie Nicks is about to perform Landslide at the O2 in London, where Fleetwood Mac are playing three nights. Before she does, though, she has a dedication to make. "This is for my mentor. Big sister. Best friend," she says, and there are precious few people in the venue who don't know she's talking about Christine McVie, her fellow female bandmate and the Mac's keyboard player, as well as one of its singers and songwriters from 1970 until she quit in 1998. It is not the first time Nicks has talked about McVie. In 2009, she told the audience at Wembley Arena that she thought about her "every day". Earlier this year she admitted to the Observer: "I'd beg, borrow and scrape together $5m and give it to her in cash if she would come back. That's how much I miss her!" This time, though, was different. When it came to the end of the band's set, McVie stepped onstage with them for the first time in 15 years to run through Don't Stop, her enduring anthem about staying positive in the aftermath of a breakup. "It was like falling off a bike," McVie says when I meet her in her south London apartment, a beautiful space situated so close to the banks of the Thames that it feels as if we're floating above it. "I climbed back on there again and there they all were, the same old faces!" "Not as much as I thought, because none of the band drink any more and I've seldom done a gig without a spritzer, you know?" She smiles, acknowledging the Mac's status as doyens of debauchery. "But it wasn't anywhere near as bad as I thought. In fact, it felt great!" Performing Don't Stop took on added poignancy for two reasons. 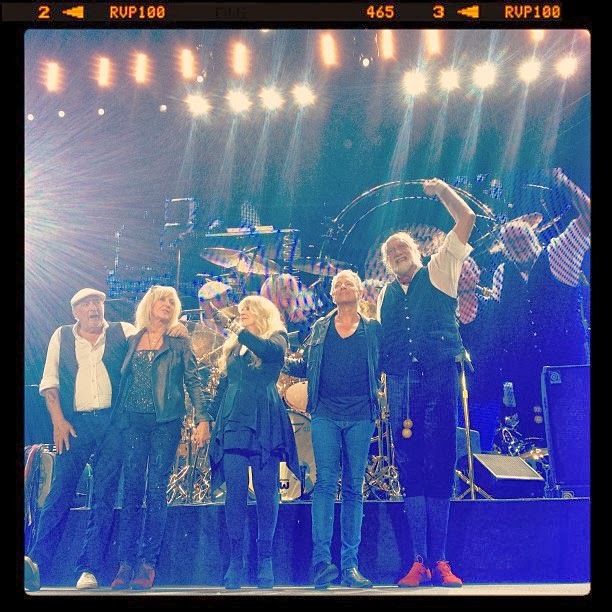 First, it was discovered shortly after McVie's former husband John McVie, the Mac of the band's name and its bassist – about whom the song was written – had been diagnosed with cancer, although McVie says the "prognosis looks good" and the band expect him to be "up and running again in a couple of months" (they cancelled several Australian and New Zealand dates while he underwent treatment). Second, it seemed to trigger a realisation within McVie herself: she had previously seemed adamant that leaving the band had been the right thing to do because she was sick of the music industry, panic attacks had made travelling impossible and she longed for the quiet life she had made for herself in a 17th-century mansion in Kent. In fact, so settled and reclusive had she seemed – the odd rare interview found her talking about cooking for friends, tending to her garden and looking after dogs – that when I ask if she would ever consider rejoining permanently, I'm taken aback by her answer: "If they were to ask me, I would probably be very delighted," she says, before explaining why she originally quit. "I think I was just musiced out at the time. I suffered from some delusion that I wanted to be an English country girl, a Sloane Ranger donning the old Hunter boots and Barbour jacket to slosh around in mud with the Range Rover. It's quite isolated down there [in Kent]. It's beautiful, but it's miles from where my friends are. And it's taken me 14 or 15 years to realise that it's not really what I want at all." "Well, I like being with the band, the whole idea of playing music with them." A couple of weeks before the O2 show, I meet Nicks at the apartment she rents while staying in Paris. It's suitably opulent – chandeliers, charcoal grey decor, huge bags of shopping everywhere – and also looks out over the capital's river. Nicks settles down on the huge sofa – she's less than 5ft 2in, and her legs barely reach the edge, let alone the floor – and tells me about her friendship with McVie. "We felt like, together, we were a force of nature," she says. "And we made a pact, probably in our first rehearsal, that we would never accept being treated as second-class citizens in the music business. That when we walked into a room we would be so fantastic and so strong and so smart that none of the uber-rockstar group of men would look through us. And they never did." What Nicks didn't know until years later was that she would never have even joined the band were it not for McVie. In the mid-70s, Fleetwood Mac were struggling for an identity: their 60s incarnation as a blues band had been derailed by Peter Green's LSD use andrepeated lineup changes, and founder Mick Fleetwood was desperate to recruit the American Lindsey Buckingham as a guitarist. Buckingham, however, said he would only join if Nicks – his girlfriend at the time, as well as his musical partner in the up-and-coming Buckingham Nicks – was allowed to join too. The band arranged a meet-up, with Fleetwood, letting Christine have the decisive vote. "We went for Mexican food with them," Nicks recalls, "and we laughed and laughed, because you English people have a very strange sense of humour. Even Lindsey had fun – he didn't want to, but he couldn't help it." "It was critical that I got on with her," McVie says, "because I'd never played with another girl. But I liked her instantly. She was funny and nice but also there was no competition. We were completely different on the stage to each other and we wrote differently too." The next day, Buckingham and Nicks received the call telling them that they were in the band and the lineup that would record the classic Rumours and Tusk albums (and later, Mirage and Tango In The Night) was complete. It was a lineup that remained more or less intact until the point McVie left in 1998. When it comes to telling the Fleetwood Mac story, we hear much about the relationships that went wrong – especially Nicks and Buckingham's tumultuous relationship – but not as much about the most stable and enduring of all, that between Nicks and McVie. Two women together in a band during the wildly decadent 70s, they supported each other through the madness that was Fleetwood Mac: the broken relationships and ill-advised affairs (in particular, Nicks's doomed fling with Fleetwood) that played out over mountains of cocaine, gallons of alcohol and so much marijuana that McVie says she didn't even need to smoke it: "You would just get high on the air," she recalls. "Those guys would blow it in your face and you'd go: 'Wow, that's strong!'" At first, it was a simple friendship. As McVie puts it: "We shared rooms, did each other's makeup and lived on Dunkin' Donuts." "We really were quite tame people back then," Nicks confirms. "The band had two couples in it, plus Mick was married with two little girls – so we had to behave. We'd play a gig, get on an aeroplane right after the show and leave to the next place. And we were watched like hawks. We had security outside each of our rooms so Chris and I were almost like travelling rock'n'roll nuns." She registers my suspicion at this. Fleetwood Mac, I suggest, are known for many things, but their dedication for living under vows of poverty, chastity and obedience is not one of them. "Well, it's true," she replies, laughing. "I wouldn't say 'nuns'," McVie says, also laughing, when I put it to her, "but it was like the army." She motions a jabbing finger at her watch: "It was regimented. The rock'n'roll lifestyle did have its perks but it wasn't all limos and parties in the early days." Yet when the lineup's self-titled first album became a hit, it brought with it money, a jetset lifestyle and ever- increasing tensions in the band. As the group came to record its follow-up, Rumours, both couples in the band found their relationships unravelling. As McVie explains: "John and I used to be civil – 'What key is this in? What do you want me to do on this song?' – but Stevie and Lindsey were fighting all the time. Very volatile. Their relationship still is an ongoing battle." It was also a glamour thing. 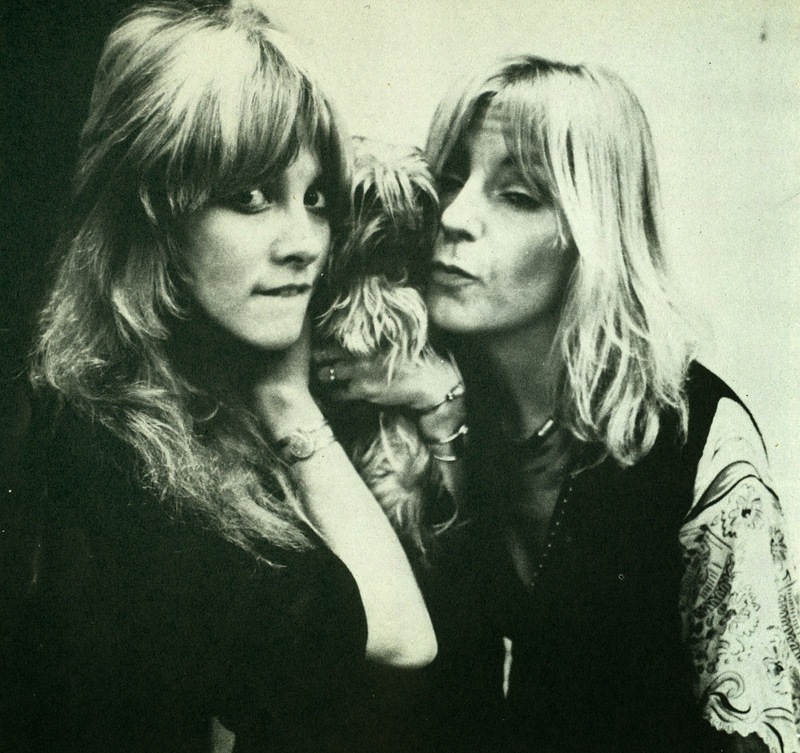 In Sausalito, California, where the two women were based during the recording of Rumours, McVie recalls the paraphernalia on offer fondly: "You could go to these shops and buy these little beautiful coke bottles that you wore around your neck – gold, turquoise, all sorts of colours with diamonds and a little spoon. So Stevie and I wore those – it was very aesthetic." There was another, more productive method of escape. People often talk of Rumours in miraculous terms: how did the group make such a perfect album amid such turmoil? But of course it was the turmoil that forced the band to focus on the music. "I became really interested in the recording process," McVie says. "I used to watch everything simply because it was more interesting than having a fight." Perhaps the truly miraculous thing about Rumours is not that the music was so good but that McVie's songs ended up sounding so positive. Aside from Don't Stop, her Rumours hits include You Make Loving Fun – inspired by her new relationship with the band's lighting director – and the beautiful piano ballad Songbird. Was she trying to escape the reality of the situation? "Yes, I suppose I was," she says, as if the thought had never struck her before. McVie was trained classically before discovering the blues through the sheet music for a Fats Domino song her older brother had left at the piano. "My writing ability all stems from the blues," she says. "Don't Stop, Say You Love Me … they all have that boogie bass, lefthand thing. Even the more recent things, like Little Lies and Everywhere, they're all blues based." Before Fleetwood Mac, she got used to being the "only girl, side stage with the piano" with the blues band Chicken Shack, but never gave too much thought to the notion that she was a pioneer. "There was Julie Driscoll and Sandy Denny," she muses, "but not playing instruments I suppose." Mick Fleetwood encouraged her to write songs ("I loved the stuff we did with Bob Welch [in the early 70s]: Mystery To Me, Bare Trees, Future Games") but it wasn't really until Buckingham and Nicks joined that her true talent as a hitmaker was set free. 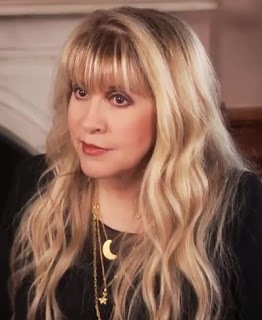 "I think I'm just good with hooks," she says, looking to win some kind of award for understatement, although this does speak of the songwriting balance in the band that gives Fleetwood Mac their depth: Buckingham provided the darkness, Nicks the poetry and McVie the optimism. Buckingham added another dimension with his studio expertise, shaping the band's sound and daring them to venture into brave new territory. It was his idea to follow Rumours with Tusk, a double album influenced by the emerging punk and new wave bands whose very existence had made Fleetwood Mac seem somewhat unfashionable. "We didn't really like [Tusk]," McVie admits. "We just kind of went" – she rolls her eyes – "okaaay. Because it was so different from Rumours. Deliberately so. In hindsight, I do like that record, but at the time me and Stevie would be like: 'What the hell is he doing in the toilet playing an empty Kleenex box for a drum?'" Of course, recording percussion while sitting on the loo makes a certain kind of sense when you consider the escalation of the band's drug use by this point. "My habit didn't really start until 1977," Nicks says. "During 1975 and 76 we were too busy making the band work – everyone was aware that we had found the golden goose. But the drug use wasn't as romantic as people like to think. I'd just get up and go to the bathroom and do a little bit of cocaine, stop and get a coffee and come back. We were tired and jetlagged, we'd sometimes play four shows in a row, and in those days management were just writing those gigs in: you'd start out with a certain amount of gigs and every day there'd be a new one. It gets scribbled in and you start to think it's never going to end." Where music was once an escape from the turmoil in the band, now the drugs were acting as an escape from the demands of the music. McVie is adamant they never helped the band creatively: "That's a fallacy. It kept you going, but half the stuff we did when we stayed up late was rubbish." She adopts a comedic, stern teacher voice: "So I do say – 'Kids: Don't do it!'" The fallout was different for each of them. McVie never succumbed to addiction: "I stopped around 1984, when I went over to Switzerland to make my first solo album. I was just sick of it." Nicks, however, ended up in the Betty Ford Centre in 1986, and followed that by turning to the prescription sedative Klonopin, which led to far worse addiction troubles. Hers was a downfall leaped on by critics in a way that highlights a common double standard in rock: the Dionysian male is celebrated for bravely abusing his body in the pursuit of enlightenment, whereas women are seen as damaged and out-of-control. "The guys in the business were 'supposed' to do drugs, they were 'supposed' to sleep with a different chick every night, that was the romantic idea," Nicks observes. The more you talk about life on the road with Fleetwood Mac, in fact, the more such double standards emerge. "We almost always had boyfriends, but they weren't on the road because they'd just get stomped on," Nicks says. "For me to have a guy out on the road with us, and have Lindsey glaring at him the whole time? Or for Christine to have a guy out and John just walk past and flip him off? No, we both learned very early on that we would never bring boyfriends on the road because it created arguments." 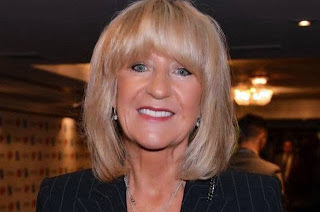 McVie recalls her bandmates' reaction when they discovered her relationship with their lighting director: "When they found out I was seeing him he got fired shortly after – because of it! I didn't really bring fellas on the road with me after that." But the reverse was all right for the men? McVie laughs: "Oh, it was all right for them, yeah. But whatever keeps the lads happy, I suppose." Pragmatism, and a sense that they really were above such petty things, seems to have kept the two women sane, and quite probably the band together. As Nicks says: "The boys brought girlfriends on the road but the thing about that was we didn't care they had new girlfriends! Because we didn't want to be with them! We were happy they had new girlfriends! Thrilled! Oh my God, they're happy! The pressure is off!" Despite the men's behaviour, it was Nicks who ended up with the diva reputation: tales circulated of her demanding that hotels repaint rooms pink. Almost all untrue, she says: "I never had to have a pink room! I'm not even a pink person. And I obviously never threw a television outside of the window in my life. Why would I do that? All I wanted, and this is what I got, was the presidential suite at hotels. We were elegant people and we wanted a place to sleep after the show that was beautiful. And the boys did not get those. We would each have a presidential suite, and if there was only one available, me and Christine would flip a coin." While there's something comical about someone denying their diva reputation by saying they only wanted a presidential suite, it's hard to disagree that Nicks was the victim of music industry sexism. When she told a crowd one night her song Rhiannon was "about a Welsh witch", rumour spread that it was she who practised witchcraft – again a tired cliche that the talented woman must be channelling evil powers. "Rhiannon was the only song I ever wrote about a sort of celestial being," she says, "but that song and the fact I wore black, floaty clothes somehow became this, this … this witch thing." She still sounds hurt by it all. "About three years into it, it actually started to scare me. People were writing me really weird letters that were scaring me. So I had Margi [Kent, still her personal designer] make me up a bunch of outfits that were just horrible – I call them the Easter Egg outfits because they were peach, mint green and blue … not colours for me. And I wore them and so did my girl singers. I thought: 'I'm going to put the top on the box of this one.'" "Oh, after a while I said: 'Screw that, I'm going back to black!'" She laughs: "And if they think I'm a witch I don't care because I'm not a witch!" When I ask McVie if she has any regrets from her time with the band, her candid answers speak of the dichotomy between how men and women are treated in rock: "There were never any children [for me]," she says. "There was always a career in the way. It was a case of one or the other, and Stevie would say the same. The lads went off and had children but for Stevie and I it was a bit difficult to do that. So that was never able to happen. And I never found the right man. Not through want of trying." Nicks once said that no man could accept her lifestyle and McVie agrees with the sentiment: "It would certainly be difficult for a chap to swallow if his wife or girlfriend is dashing off without being at home to cook his supper for him." Given all of this, you wonder why – at 70, and having escaped the madness of the Mac so succesfully – McVie would want to rejoin one of the world's biggest rock bands. There are no doubt several factors. For one thing she's overcome her fear of flying, thanks to therapy. 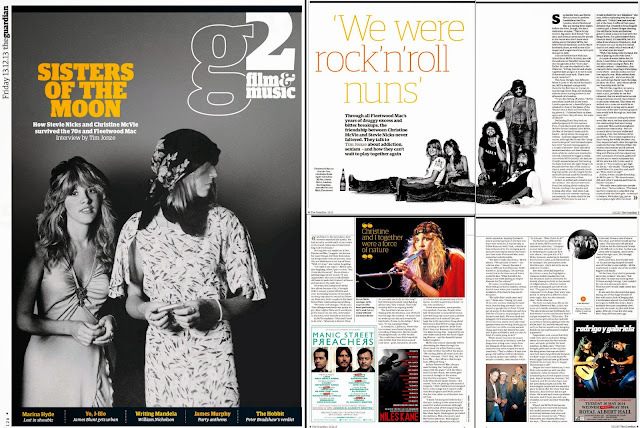 She's also noticed the growing critical reappraisal of the band, to the extent that their once-derided music is now a vital touchstone for new bands ("I have friends with grandchildren in their teens and they've got Rumours, Tusk, all the live stuff – and they dig it, man, they really like it!"). And, of course, she's watched the band playing live and seen what she's missing out on. "You see Mick from the side of the stage, and it's contagious," she says. "He puts so much energy and joy into playing the drums. He looks like a big Santa Claus up there with his beard and belly – oh God, don't tell him I said that. But he's so incredibly strong for someone who is 67, 68, or whatever he is. He puts everything into it. He comes off stage and puts ice packs all over himself, then puts on a coat that's three times too big for him, fastens it up and walks around so his muscles don't get seized up. He even wears that on the plane until he gets to his hotel room, and it's the same thing every night for him." There's also the fact that the band never wanted her to leave. "At the time, they tried to persuade me to stay so hard," she says, "but back then I'd made my mind up that I'd done enough touring. I just couldn't live out of a suitcase any more. Whereas now I would really rather like to again." As she says this she averts her gaze, staring out of that huge window of hers with such a look of longing that it would seem almost too cruel if she never got to fulfill this desire. And it suddenly becomes completely obvious why she wants to play with them again. After all, it was she who sang Don't Stop all those years ago. Well she certainly could need the money. Shes been inactive for 15 years and it costs a lot of money to keep her lifestyle up every year. Stevie and Lindsey made a TON of $$ on this last trek. Can you imagine the draw of a tour with the original "Rumours" lineup? In 1997 many speculated that Fleetwood Mac only resurfaced because they needed $$$. I'm sure they did to an extent, however it's also probably just as likely (or even more so) that Christine actually misses her band and wants to participate again before it actually does become too late. It's on, it's happening - this is all press for the soon-to-be reunited band, otherwise it'd be a travesty to lead the fans on. I hope they do a new studio album followed by a tour. With Chris back, it will take some of the pressure of Stevie, who's repeatedly described the show as "grueling", which I'm sure it is. I doubt Chris needs the money but I'm sure it doesn't hurt. I doubt Chris needs the money! It's not like she owns a jet, trots around the world in Chanel and blows half a mil on cosmetic procedures every year. Put Chris back in and they can do the complete round of venues again. and before they call it their farewell show, they can get $$$$ from the fans who will pay to see them as a complete band one more time. Nothing wrong with that. But I do think its about the money. Look - they're a big, successful band that still packs `em in. Nothing wrong with meeting a demand and making money. They've done an admirable job as a quartet, but as a quintet they're unstoppable. Agree that a tour (and hopefully a record) with Chris would be historic. If they put out an album it will be the first since 1987 with the Fab Five lineup. Incredible!!! The Dance was such a wonderful, emotional thing - it was GREAT to see them back on top again, but Chris quitting took the wind out of those sails. I personally loved SAY YOU WILL but I do respect that some people just couldn't accept FM without Chris. Now that's no longer an issue. FYI: Christine McVie has a total net worth of $65 million dollars... she does NOT need the money. The music is in her heart and she misses her band! As rich women of a certain age, both Stevie and Chris understand charming younger men who'd "love to lover her." They're both paying the price of never having children - it's lonely. Luckily, they have each other and all of us fans. We make them feel good, they make us feel good, and it all works out remarkably well. Christine - you have NO IDEA how you have been missed. I'm so moved and happy you're back - never go away again!!! Stevie certainly has changed her tune in the last two weeks with all those interviews where she isn't exactly thrilled with Christine coming back. I still wonder why she isn't being more supportive now that Chris said she does want back in the band. I suspect this has all been carefully orchestrated. A Guardian reporter didn't just "pop in" to Chris' London flat to chit chat about her and Stevie Nicks. And Chris didn't just "blurt out" that she'd like to come back to Fleetwood Mac. And Stevie didn't "just happen" to be interviewed by the Guardian simultaneously. Good work, Liz Rosenberg. Christine doesn't have to be asked back in. Her saying" if they asked me" is more or less a gesture of politeness! . I think silence from the rest of the band lends to the suspense. My feeling is really that Chris loves the music, she misses being active that way. I would be quite surprised if she were not on their next full length album. The Mac don't do EP's. I have not heard Christine sound so positive. Stevie hasn't got much say. The Lawyers do the talking. I expect good things. IT WORK OUT,IN THE END. 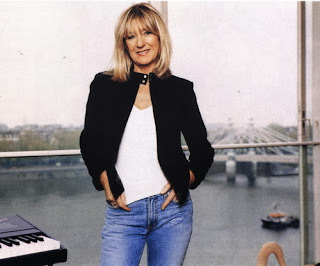 Christine McVie would be the missing piece in the jigsaw puzzle that is Fleetwood Mac.